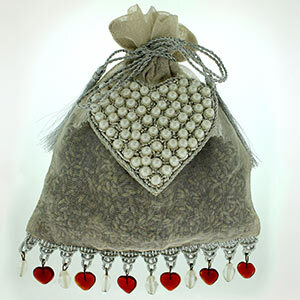 A stunning, wonderfully scented beaded organza sachet bag 5 x7.5. The sensual, soothing smell of lavender. 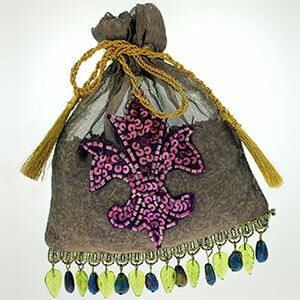 Filled with lavender flower buds that are grown in France. 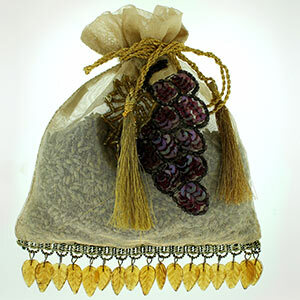 Has a blue-grey color with a sharp, piny-lavender scent. Lavender flower buds are about the size of a grain of rice and are not on stems.